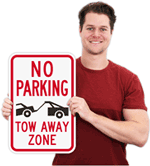 Government regulations require that your signs be at least 5' off the ground. 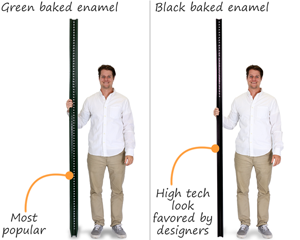 7' baked enamel posts exceed requirements and are perfect for busy urban areas. 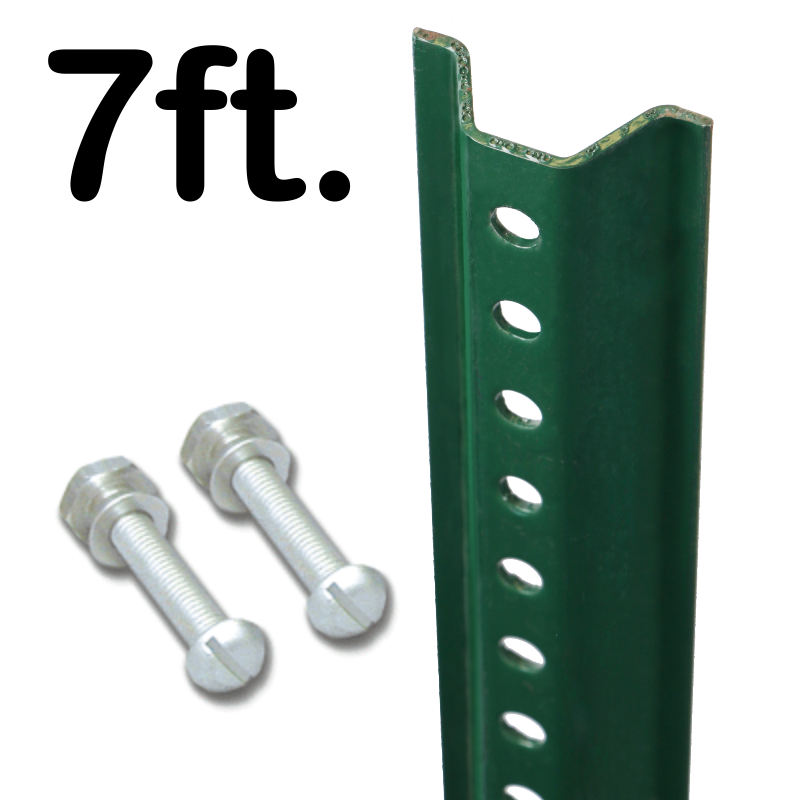 Holes are posted every inch for a simple mounting and installation process. 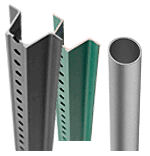 • Galvanized steel is durable and coated in a rust-proof, green or black baked enamel. • In two weight levels: economy & municipal strength. Economy posts weigh 1.12 lbs, while municipal quality posts weigh 2 lbs. 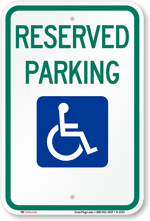 • Designed to make displaying signs as easy as possible. • Questions about which post is best? Give us a call. 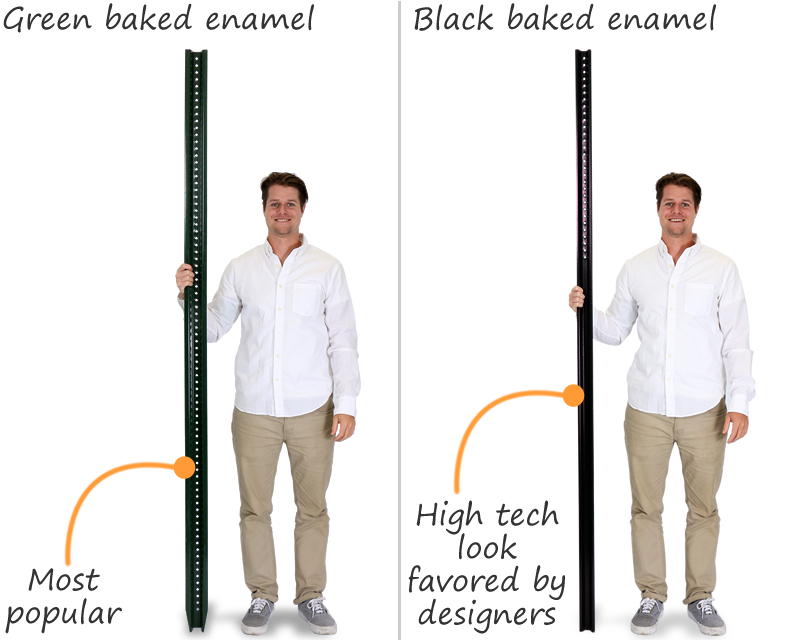 Find a complete collection of sign bases to accompany your sign posts at guaranteed great prices. 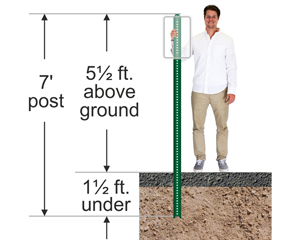 Posts weigh 14 pounds each. Used by cities and governments. 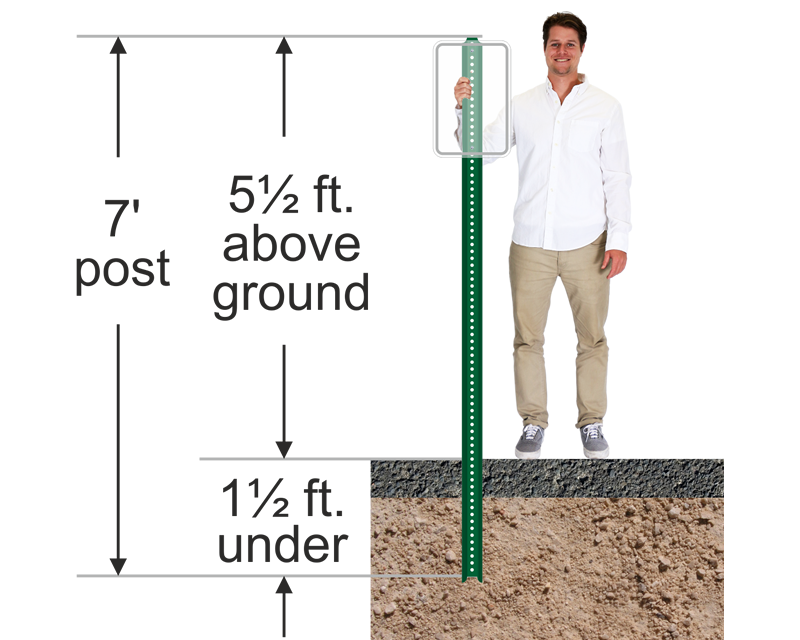 Posts weigh 8 pounds each. 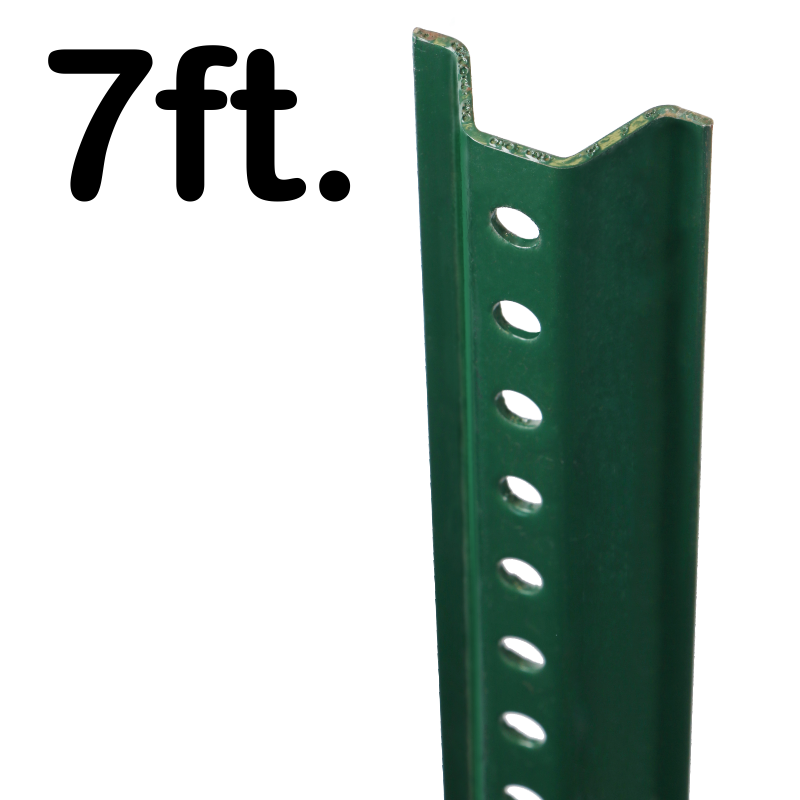 Standard grade posts are most popular for private parking lots.